If you have a pre-existing medical condition or in the past suffered disabilities your travel insurance premium is going to be priced ludicrously higher as the risk of claim is now higher. Travel insurance for people with pre-existing medical conditions works the exact same way as it does for the typical travellers. It covers you for unforeseen circumstances such as cancellation or medical emergencies. The only difference is that it covers you for any medical condition that you may have had in the past or currently. When purchasing travel insurance with pre-exiting medical conditions, there will often be very in-depth questions about your physical and mental health. This is required so that insurance companies can tailor a policy that suits your needs accurately. Even the most minor of medical conditions is worth declaring just to ensure that you are fully covered when on holiday or traveling away from your home country. Offer you a standard cover because you pre-existing illness is not severe enough to cause an increase in price. 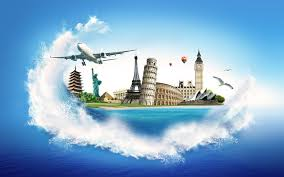 Offer you a travel insurance cover without the option of medical coverage. Refuse to insure you at all. Give you a cover with very high excess payments.